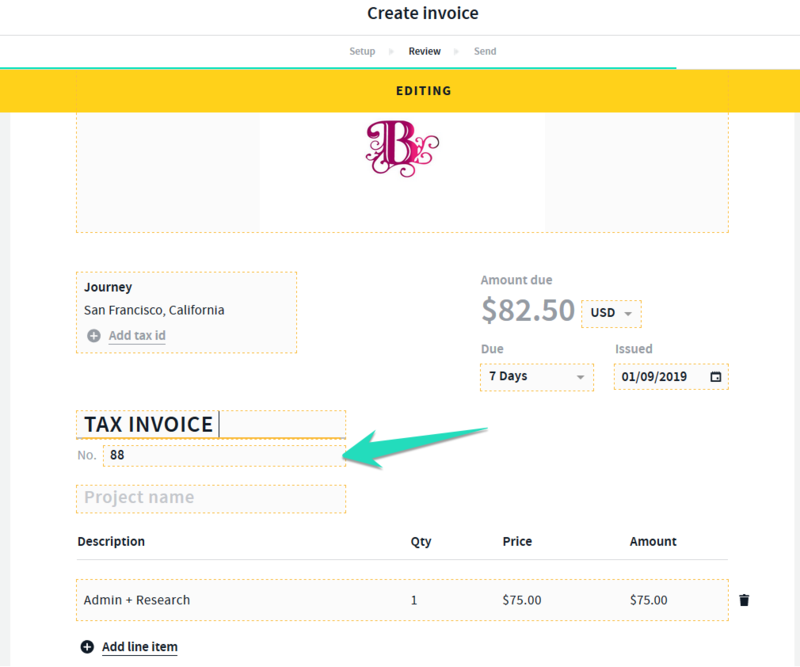 First Step is to create an invoice and you can see more on creating an invoice here > create your invoice. Select save to save the invoice as a draft from the options tab top left > save. This will save your invoice as a draft. 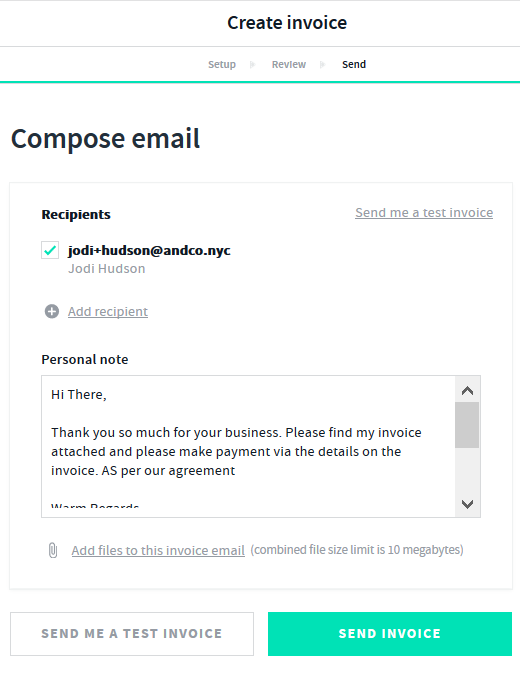 To Send your invoice simply select > Next to Send your Invoice select your client email or enter in additional recipients as well as edit the email message that is sent along with your invoice. 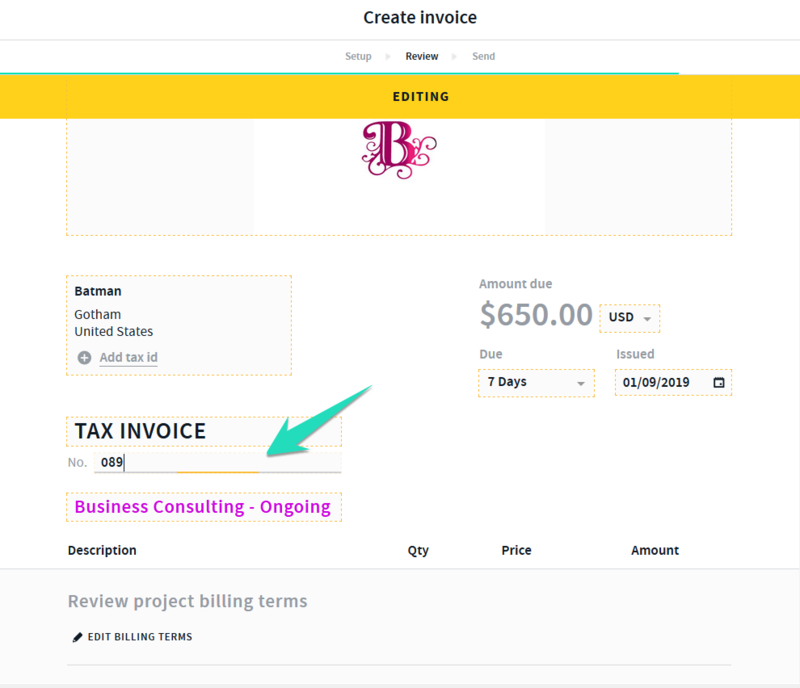 You can also send yourself a test invoice to review the invoice prior to sending it to your client. Invoice numbers will only populate in sequence using numerals eg. 1,2,3,4,5 or 1000, 10001, 1002 etc once you have initially set the sequence. You cannot reset the sequence once it has been set up. If using letters/characters/symbols you would need to manually edit each invoice number. eg C001, C002, C003 etc. You can edit each invoice by selecting > Edit > Edit Invoice Number Save. You cannot reuse a deleted invoice number, please recreate the invoice and use 0 in front if re-using the same invoice number eg. for deleted invoice #1 edit the invoice number to be #01.